The key to the superior performance of the FNSL4R-DS comes from the extremely durable and efficient body design. Starting at 4.9 pounds it is the product of computer generated solid modeling and FEA stress analysis technology. The most noteworthy feature of this new caliper design is the forging. Each body is stress-flow forged from premium grade aluminum alloy billets. Stress-flow forging re-aligns the metal's internal grain structure to flow within the contour of the caliper body. This process eliminates the stresses and interruptions to the internal grain structure that occur when machining a straight block billet. Simply stated, there is no better way to build a stronger aluminum caliper body. A unique six-piston differential bore configuration provides balanced loading for even pad wear in sustained high heat environments. The standard FNSL4R-DS calipers feature one-piece stainless steel pistons. Stainless is used for its slow heat transfer properties and high resistance to corrosion. 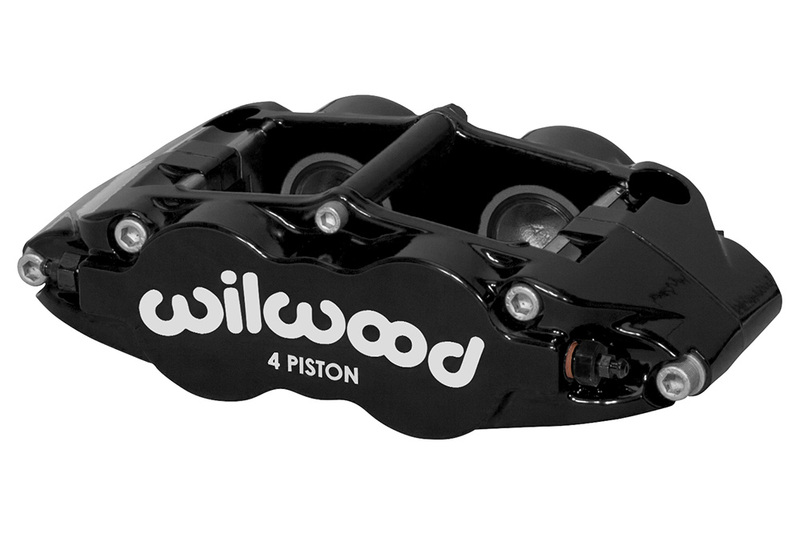 Calipers can be upgraded with Wilwood's exclusive Thermlock pistons. This multi-part piston design creates a highly efficient thermal barrier to further reduce heat transfer from the pads to caliper body, seals, and fluid. Cooler temperatures translate to longer service life and less chance for heat induced pedal fade.